While my rates are industry standard, I do my best to work with clients and on occasion have been known to barter for interesting trades! Also I am willing to offer a discount on multiple services or hours, so don’t be afraid to ask! Typical initial consults are approximately 2 hours and can happen via Skype, phone, or in person (in person consults only available within 40 minutes of Pittsfield, Ma). All clients will have an initial consultation to help us establish a relationship and to help understand your needs more ideally. “Business Doula” Support – Varies by client, needs and budget/barter potential. Financial Record Keeping Setup – Depending on initial set up $200 first 2 hours and $50 and hour after. While I do my best to keep my rates up to date on the website, please know they are subject to change at anytime. 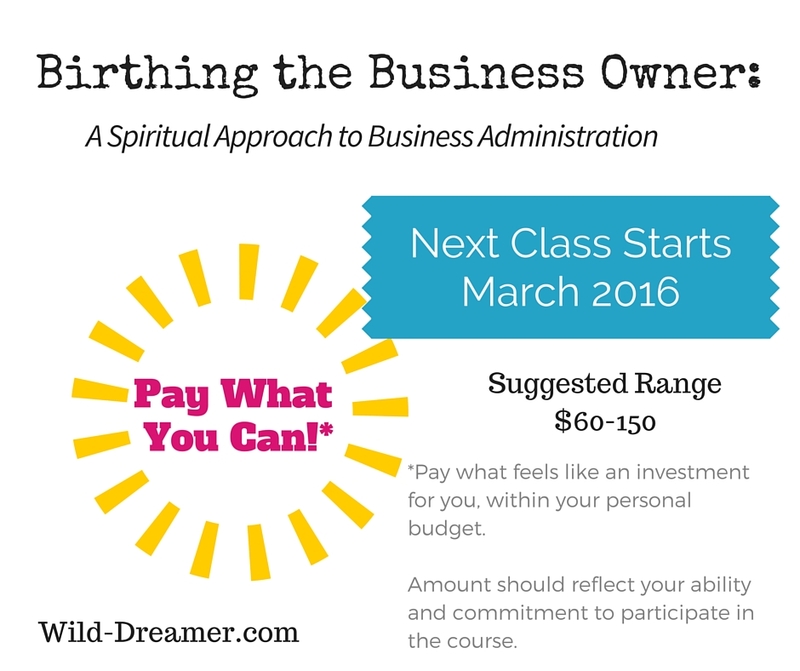 Spirit Business Administration Couse in the basics of managing a small home based business! This is ideal for those considering the leap into self employment or wondering if they have a business or a hobby – or for those who want to embrace a more spiritual outlook in the business operations. Effective Dreaming a community conversation on the ways to tap into your psyche and soul to manifest your dreams.